Accrediting study programs in higher education around the world. 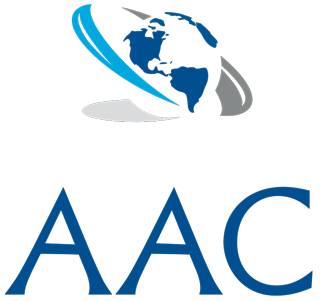 The Accreditation Agency Curacao (AAC) is an independent and professional Accreditation Agency that offers a diligent Program Accreditation to all local and international institutions of Higher Education which have taken the decision to accredit their study courses. The AAC appraises to assess the quality of the courses and the institutions of Higher Education on the basis of the documentation provided by the latter and the results of an onsite visit. The goal is then, together with colleagues from the team of experts, to come to a final recommendation through an official report regarding the accreditation from the Accreditation Commission. The ACC conducts this process with all transparency and professionalism to assure a level playing field for all institutions of Higher Education that thrives to offer quality courses and studies local and internationally. A program accreditation has many benefits. For instances for the general public, through industry, benefits by receiving high quality service from graduates of accredited programs. But also employers benefit by having the assurance that graduates from an accredited program have the competencies demanded by industry to meet current and future requirements. Higher Education institutions benefit by receiving assurance from industry that their programs are high-quality and produce competent graduates, and by continually improving their programs to meet accreditation standards. Their faculty members also benefit by receiving ongoing professional development necessary to ensure their programs are current with industry requirements. And last but not least the graduates from accredited programs benefit by having assurance that their education has met industry standards, thereby adequately preparing them for employment in industry. The following pages will give a thorough insight into our procedure for the program accreditation. The accreditation procedure for program accreditation takes between 8 to 12 months. The procedure gives AAC and the Higher Education Institution in question a detailed evaluation of the program strengths and weaknesses and shows the essential future opportunities and hazards. This enables the HEI to identify and take efficient measures to achieve the self-imposed goals. To provide guidance during a procedure, AAC provides guidelines for preparing an application for program accreditation or for institutional accreditation. The agency also provides continuous feedback during all steps of a procedure. 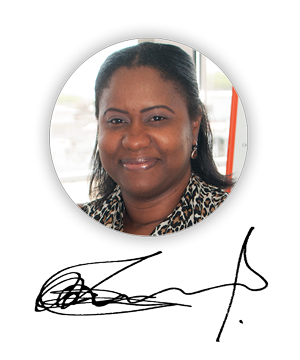 Our experts can give you recommendations on the further development of your application and self-report. transparency and mutual trust in higher education. also been incorporated into the formulations and questions. through an official report with regard to the accreditation. Applicants may appeal against decisions of the Accreditation Commission on procedural grounds or in the case of perversity of judgment. The Academic Board (Appeals Committee) has the responsibility to consider appeals. The possible grounds of appeal are limited to procedural errors and/or perversity of judgment. Mere disagreement with the Accreditation Commission judgment does not constitute a valid ground of appeal. An appeal on procedural grounds may be lodged if AAC procedures, other regulations, any applicable legislation, or generally accepted principles of fair and equal process were dishonored. Perversity of judgment may be claimed if a decision is clearly unreasonable or disproportionate in the light of the available evidence. If the Academic Board accepts the appeal, the Accreditation Commission decision is voided and the case referred back to the Accreditation Commission. The Accreditation Commission will take due account of the grounds of appeal and the reasoning of the Academic Board in taking a new decision. An appeal is rejected if it is either unsubstantiated or not based on valid grounds. Appeals need to be submitted to Academic Board in writing within 90 days of being notified of the rejection of an application. The appeal has to clearly specify on which grounds it is lodged. The Academic Board will decide on the appeal within 120 days. Before taking a decision, the Academic Board might request further clarification or comments on the grounds of appeal from the Accreditation Commission, the review coordinator, the review panel, or the applicant.